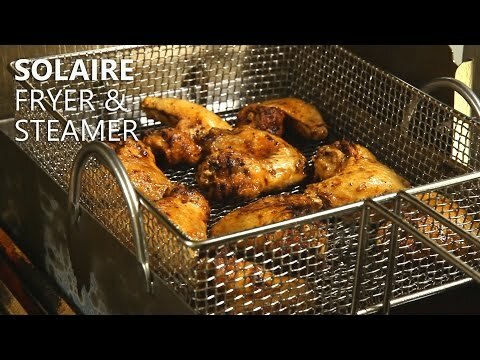 This Solaire Steamer/Fryer features a stainless steel reservoir and basket for heating oil for deep fat frying wings, fries, tempura, poppers, etc right over your Solaire grill. Use the included perforated tray for steaming vegetables or other food. Replaces cooking grid when in use. For use with Solaire 30, 42, and 56 inch gas grills only.